Maybe we should talk about apples today as we look at Genesis 3. As I teased you last week, this is where things began to go terribly wrong. Yet, there’s nothing better than biting into a cool crisp apple. The sound of the chomping and the taste of the fruit are both delightful. However, scripture doesn’t say that the fruit in the garden was an apple so how did we begin to interpret it that way? It all happened when the Bible was translated into Latin. The translators just couldn’t resist making a play on words, between apple and evil. The two words are similar in Latin. Obviously, we lose the humor in English, but we get to keep the apple. 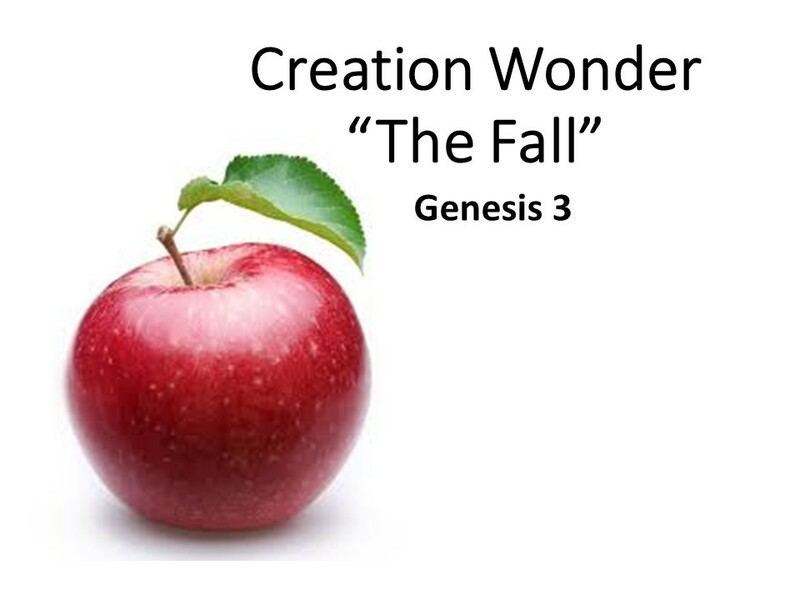 The third chapter of Genesis is often referred to as “The Fall.” It’s seen as a story of how sin gained a foothold in the world even though, interestingly, the word “sin” is never used in this chapter. But that’s what happens. The two humans in our story disobey God. They are caught red-handed, with apple juice trickling down their chins. The fruit isn’t what’s important; it’s the act of disobedience. Read Genesis 3. There is a scene in Mark Twain’s Huckleberry Finn, in which Huck has staged his own murder and then slips back into town to learn what people are thinking. Since he’s supposed to be dead, he can’t just stroll back into town, so he dresses as a girl. He stops by a woman’s house to get the scoop on what’s being said. He learns there’s a reward out for Jim, the runaway slave, who people think may have committed the assumed murder. But the woman isn’t completely convinced by Huck’s cross-dressing and she asks him to thread a needle. After all, her eyes are getting bad. The thread might as well been a camel. Huck has the hardest time getting it through the eye of the needle. Then the woman complains about rats in her house. Always helpful, Huck takes a lump of lead and when the rat appears, he hauls back and throws the lead at the rodent. The rat ducks into the hole in the nick of time and Huck, as a girl, brags, “He’d be a tolerably sick rat had he stayed where he was.” Huck’s secret is out of the bag. The woman knows he’s a boy. Huck has to make up another story. As human beings, we often try to be something we’re not. That’s how Huck was discovered. He couldn’t thread a needle nor did he throw like a girl. When we try to be something we’re not, we generally make fools out of ourselves. 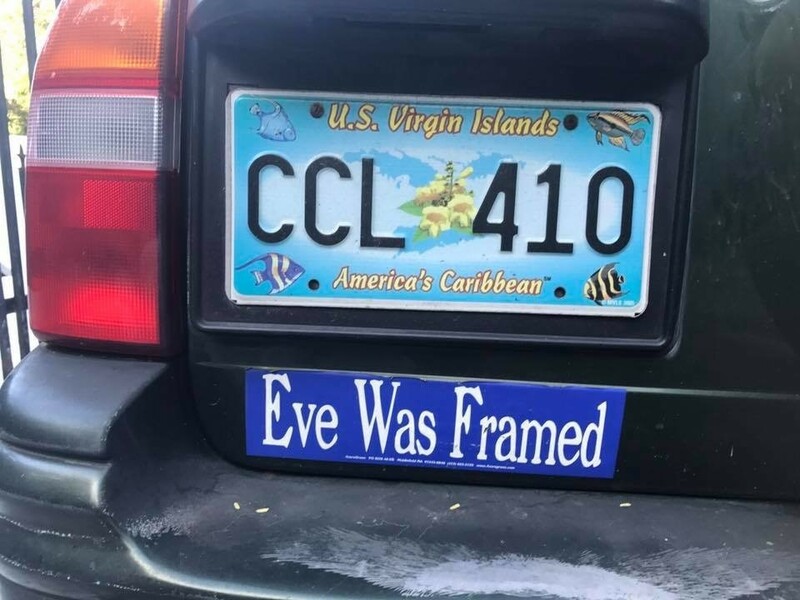 That’s what happened in the Garden of Eden. The fruit looked so tasty. And the first couple wanted to be like God, something they were not designed to be. So they ignore the limitations place by the Creator, and disobey by eating the fruit. Then they realize they are naked. The third chapter of Genesis opens with a serpent, a snake. We’re not told here that he’s evil, just that’s he’s crafty and sneaky. And the snake begins a conversation with woman. Dietrich Bonhoeffer actually suggests that the snake is the first theologian because he starts a conversation about God. Obviously, he has a mistaken theology for he begins, seemingly innocent, asking if God had told them they could not eat of any of fruit from any of the trees. Of course, that’s not what God said. God only said that they could not eat from the tree of knowledge. The woman corrects the serpent, but then she goes further. According to the woman, they’re not to even touch it. Both the woman and the snake misrepresent the truth, setting the stage for the woman to succumb to doubt when the serpent tells her that if they eat of the fruit, they will not die. Instead, the crafty snake says, “Your eyes will be open and you’ll be like God.” According to Genesis 1:27, the woman and man and all humankind have been made in God’s image, but that’s not enough. The woman sees that the fruit appears so delicious, so she takes a bite and gives a bite to her husband. And sure enough, the snake is right, their eyes are opened and they see that they are naked. So they make fig leaf clothes, but even more telling, they hid from God. We’ve all been at this junction, when we sin and are then are ashamed. Verse 8 provides one of the most idyllic descriptions of paradise. It’s evening, there is a breeze that rises and cools the garden. In the soft light of the waning day, we can image the man and the woman and God enjoying the fruits of their labors. For God had created, and the man and woman had tended the garden. But it’s a vision of what is no more, of our dream of paradise lost. For instead of joining with God, the couple hides and by this action their shames betrays them. Next, we have an interesting conversation. God asks them what they’ve done. Instead of confession, they assign blame. The man blames the woman and the woman blames the snake. And haven’t we all done that? 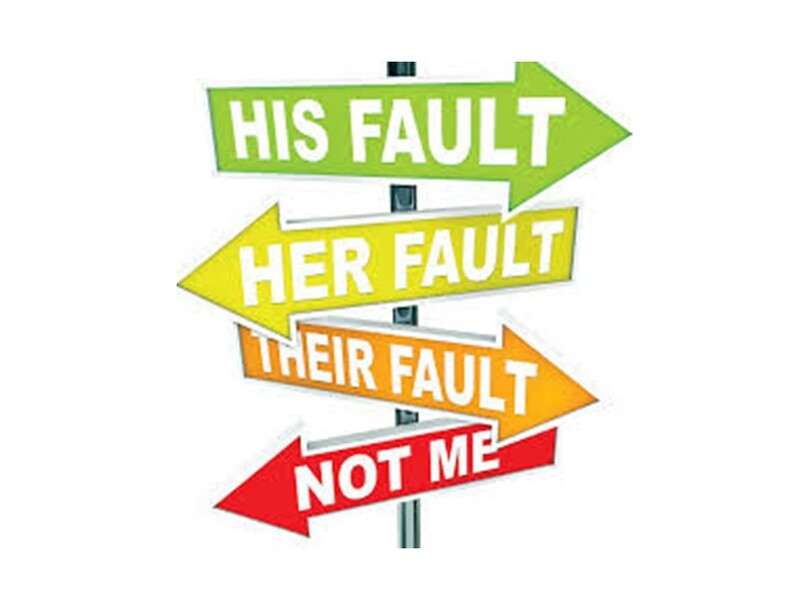 “No, it wasn’t me, it was her or him.” Not only do we sin, we compound our sinfulness by not taking responsibility for what we’ve done (or by claiming we’re been framed as a bumper sticker I recently saw said). But the guilt of the man and the woman’s disobedience can’t be passed off to the other or to the serpent. Both, actually all—man, woman and snake—are guilty and all stand under judgment. So God curses the serpent, which I’m going to skip and move on to where God lays out the consequences for the man and woman. Life is no longer going to be idyllic. We have to work and struggle and from now on our lives will consist of pain and heartache. Now, don’t get the wrong notion here. The curse isn’t that we’ll have to work. After all, when God put the man in the garden, he gave him a job. God handed him a hoe and told him to chop the weeds. Work can be holy. The curse means that hard work won’t always pay off. As Israel found out, through a series of invasions, it’s possible to work hard and build a home and establish a wonderful vineyard, only to have someone else live in your house and feast upon your harvest. That’s what makes God’s promise, spoken through the prophets, is so appealing. “They shall not build and another inhabit; they shall not plant and another eat.” We long for that pre-fall paradise, but we can’t return. We live our lives East of Eden. But I want you to notice something in this passage. In verse 21, right after God lays out the consequences of their disobedience, and before God expels the man and woman from the garden, we have this touching image of the Almighty. God is a tailor! After giving the man and the woman a lecture that changes history, we can imagine God sitting down on a log in the garden and taking up a needle and thread and some skins, and fashioning clothes for the man and the woman. Yes, they are to be locked out the garden, with the cherubim and their flaming swords guarding the gates to assure the man and woman will not return. But they are not being sent out into world naked; they do not go out empty handed. You know, God could have ended things right then and there. He could have hit the “reboot” button on creation and started all over, like we do when we have a glitch with one of our electronic contraptions. But God doesn’t. The fashioning of clothes shows God’s love and concern for the human race, the pinnacle of his creation. That’s the good news. That’s what we have to trust! When I was a kid, my mother once ordered a bunch of name tags that she could sew into our clothes. I think she must have gotten these from one of those companies that advertised in the magazine that appear in the Sunday editions of the newspaper. The names were imprinted on long strips of ribbon, over and over again, so all one had to do is snip off a section and sew it onto the garment. Mom got a set of ribbon for each of us kids. When I went off to camp for the first time, I was shocked (and embarrassed) to find in my underpants, sewed onto the waistband, a small tag that read “Jeffrey Garrison.” Unlike everyone else, my mother insisted on calling me Jeffrey. Years later, after I was in seminary and in my early 30s, I was visiting my parents for a few days and my mother did my laundry. When I got back to seminary, I realized she still had some of that name tape and had sewed my name into my clothes. I chuckled and this time wasn’t embarrassed as I realized that my mother was doing what she could for me. She knew I was out on my own, and wanted to do something to help me on my journey. God, like a mother who sews for her departing children, prepares the first couple for their journey. There is an insight here that we should grasp. Although we can’t go back, for the garden is now sealed off, God is going to care for us. Providence is the doctrine that tries to explain this. God hasn’t just created us and set us loose to fend for ourselves. God cares deeply for us, so that even when we have sinned and are separated from Him, God takes the initiative to reach out to us. Although the man and woman are exiled from the garden, although they will no longer enjoy evening walks with Lord, although they are separated from the Creator; the Almighty, acting like a concerned parent, isn’t going to let sin have the final word. By expelling the couple from the garden, God protects his holiness. But even then, God cares for the couple and is already working out a way to reunite himself with his creation. The fulfillment of this comes in Jesus Christ, God incarnate, God with us. And he’ll come again, with the vision we have in Revelation, described in there as a wedding, as a marriage consummated in the new heaven and the new earth. But until then, we live in a new state. In a way, the man and the woman have become fully human. They can now make their own decisions and are responsible for their choices. They are aware of their vulnerable position in creation and now have to live even more dependent upon God. As I’ve said earlier, there is something about us that makes us long for that which we know is lost. According to Augustine, the great theologian of the early church, God created us this way. God wants us to praise him and have made our hearts restless until they rest in him. So we dream for that which we have lost, even though we can’t go back. Yet we can hold on to those memories and we should. They’re good memories. Thinking of God as a tailor remind us that we’re cherished and loved, which should also give us a vision for moving forward toward that day when God will make all things new through Jesus Christ, the day we’ll be reunited with our Father in Heaven. We go forward, knowing that we should be honest with God and confess our sins. 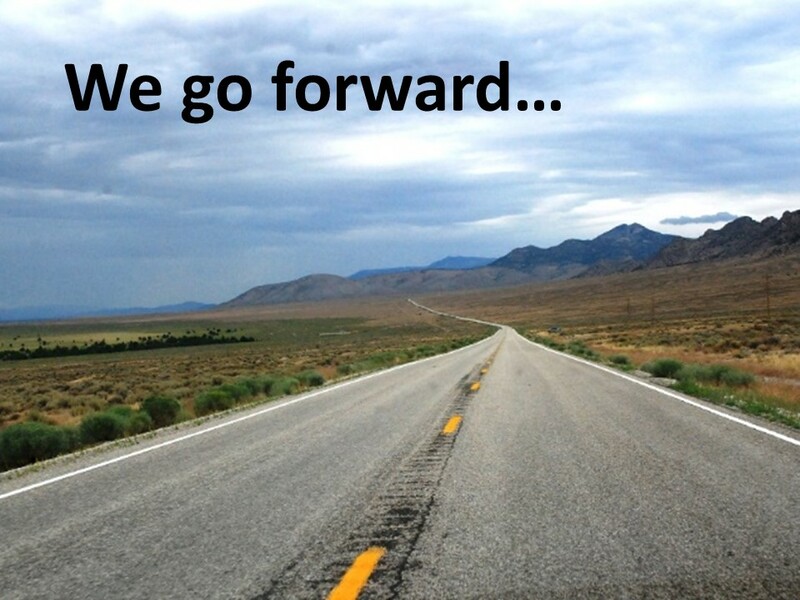 We go forward, knowing that God wants what is best for us. We go forward, longing for Jesus to return, yet making the best out of each day as we share the joy we have with others. Amen. In Latin, evil and apple are “malum.” Donald Gowan, Genesis 1-11: From Eden to Babel (Grand Rapids: Eerdmans, 1988), 55. William P. Brown, Sacred Sense: Discovering the Wonder of God’s Word and World, (Grand Rapids: Eerdmans, 2015), 40. Mark Twain (Samuel Clemens), The Adventures of Huckleberry Finn, Chapter 11. Dietrich Bonhoeffer, Creation and Fall, as quoted by Brown, 36. Isaiah 65:22. See also Isaiah 62:8 and Jeremiah 31:5. 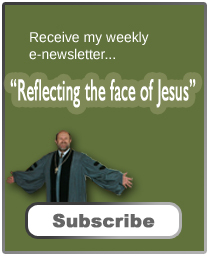 See the Heidelberg Catechism, Question 27, The Second Helvetic Confession, Chapter VI, and The Westminster Larger Catechism, Questions 20 and 30.